Rebecca Giggs is one of those writers unafraid of experimenting with form. She writes fiction, poetry and creative nonfiction. Here, Bec Zajac talks to her about women writing nonfiction and her new Overland essay, ‘Imagining Women’. In the opening of your essay you mention Alan Attwood’s recent comment about a ‘boom in journalistic essays and books being written by women’. As someone who has worked for some time as a writer of essays, fiction and poetry, is this something you’ve noticed? Atwood’s comment is from late 2010, and I suspect he is there identifying a trend in the visibility of women’s nonfiction writing, rather than a quantitative ‘boom’. But it’s hard to find statistics on the split between new fiction and nonfiction titles published in a given year, as the nonfiction category typically includes technical books and manuals, as well the essayistic, lyric or journalistic books I’m talking about in this essay. 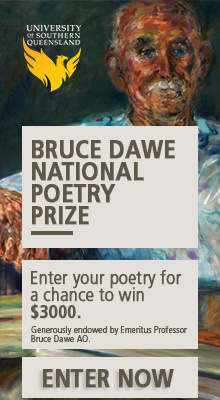 If we look to prizes (as many are), the Victorian Premier’s Nettie Palmer Prize for nonfiction, worth $30,000, has been won by five women in the last six years (Helen Ennis, Danielle Clode, Meredith Hooper, Chloe Hooper and Brenda Walker), while the New South Wales Douglas Stewart Prize, worth $40,000, has been won by a woman only once in the last six years. Perhaps it is telling that the Victorian award is named after a female author, and the NSW one, a male. If there is indeed a boom, it is my feeling that it’s being fostered by the mid-tier presses rather than ‘big end of town’ houses or the various funding bodies. Granta, Black Inc. and Scribe and have all been better advocates for emerging nonfiction writers, women and men both, than the larger publishing houses (and full disclosure here: since writing this essay I have signed to publish a nonfiction book with Scribe). Allen and Unwin’s Iremonger Award was abandoned in 2010 after no winner could be awarded in 2009, and it remains to be seen whether the proposed Stella Prize – around which much of this debate has coalesced – will ultimately focus most attention on Australian women novelists. I do not see many university undergraduate creative writing programs specifically targeted to nonfiction in Australia (although journalism courses are still bursting at the seams), and the printed essay, as a kind of bridging form to longform nonfiction, is still undervalued in many established anthologies and journals. As with short fiction, a 3000 word upper barrier is live in most paper and ink publications – for essays which try to yoke together disparate stories or strive for a multi-threaded and complex exposition, this length is a tall order! A magazine like The Monthly might go further in terms of word-count, but in my opinion we still lack for an equivalent to the various US and UK ‘Review of Books’-type magazines. The Quarterly Essay sits somewhere in there as an invaluable opportunity for complex analysis. But this has to be seen in context: nonfiction is changing, not only because a new generation of writers and editors, both male and female, are curating emergent styles, but also because the market for nonfiction is changing simultaneously. The advent of Instapaper, Kindle Singles and Longreads has fostered intermediate forms. The electric essay, longer and deeper in content than print journalism, is happily on the rise. One of the main encumbrances of the nonfiction book today is its stasis. Once printed, the text locks – a huge disadvantage if you’re writing about a highly mobile public debate. Contrast the essay, online or displayed through mobile technology, which is able to be updated with fresh information and respond internally to ‘user engagement’. The modern readership is fractious; they dart between archives, articles and forums, synthesising low-hung information. A nonfiction book that works only with information, detached from experience, now competes with writing that is much more agile (and cheaper: both to produce and to purchase) found in the electronic realm. Such a book has become devalued in the digital readership economy, and so publishers from Pan MacMillan to Penguin are rapidly trying to move into the electronic longform sector (although they’re still often doing direct translations across from printed text to pixels). Unlike the eBook, the electric essay seems to be taking better advantage of the fluidity of its platform. Savvy publishers, like those from The Atavist, ByLiner Originals, Guernica, and Public Books are seizing on the opportunities there. And of course, this in turn impacts on printed nonfiction by arguably pushing it towards more lyric, personal, investigative or creative styles. Who are some of the female writers that have been central to this ‘boom’? Sandra Gilbert and Susan Gubar wrote in the late 1970s, ‘(t)he son of many fathers, today’s male writer feels hopelessly belated; the daughter of too few mothers, today’s female writer fells that she is helping to create a viable tradition that is at last definitely emerging’. I doubt the ‘hopelessly belated’ sensation is unique to male authors alone (don’t we all suffer the crisis, ‘what new thing can I say?’). And yet events like Melbourne’s hugely popular ‘Women of Letters’ would seem to support Gilbert and Gubar’s latter assertion: that All the Young Literary Women in Australia are engaged in celebrating (and shoring-up) a tradition that has only recently come together as a cohort. Letter-reading, that most private and feminine activity, is now performed to sell-out audiences in municipal buildings. And a female literary collegiality was palpable at the 2011 This Is Not Art festival, where so many hallway conversations revolved around the newly proposed Stella Prize and the Meanjin Tournament of Books. But watch this space – or: watch the crowd at the 2012 NonfictionNow Conference in Melbourne – I believe you’ll see many more women nonfiction writers coming through over the next 3–5 years. In your piece you mention certain literary tendencies that you’ve noticed which characterise the work of the women writing in this creative-nonfiction genre? Could you talk about some of these? That’s a tricky one. I’m loathe to group together disparate approaches to nonfiction simply because the authors identify as the same gender. In the essay I highlight Cynthia Ozick’s point that the label ‘woman writer’ carries with it historical ballast that the label ‘man writer’ simply does not – especially in terms of a woman’s ideas always reflecting some kind of embodiment. But I do think you can say that the intellectual heritage of mainstream non-fiction – particularly historical or political nonfiction – is this conceit of the disembodied mind, hanging high in the atrium of the skull. Anything bodily, anything sensual, makes that genre recoil. Materiality – our daily reality of sensory data; touch, taste, smell, sound – has always been more readily within the purview of fiction. Nonfiction writers are often expected to conspicuously sidestep their own presence – an illusion to which the reader surrenders, even as traces of the absent meddler persist like tracks over a dewy lawn at dawn. This effacement is non-fiction’s most enduring lie – that person in the night garden, rearranging the furniture. Although there are longstanding exceptions (new journalism, narrative nonfiction, gonzo writing) university students are often still taught that ‘I’, the first-person, singular subjective pronoun, is a radical act. So a narrative voice that is spasmodic, hesitant and indeterminate is assumed not to possess the requisite temperament for telling a factual account. Quavering notions of pleasure and beauty have no place in nonfiction. The ‘outdoors’ can’t be a place for introspection or changeability. Outside, action is privileged over rumination, and assertion over deliberation or distracted observation. The author must have a unity of self, a kind of lead coat, to go through the narrative without incurring upon it. These are the criteria by which ‘good’ non-fiction is still judged in some sectors – and you can see that such assumptions cast it as a male imprint. It is these assumptions that animate the unwelcome milieu in which commentators like Nicolle Flint can plausibly argue that the answer to women’s discrimination is simply that women ought to act, and write, more like men. But back to the original question: I’m interested in how writing nonfiction destabilises gendered notions of authorship, and so also authority. I do agree with Susan Griffin when she writes, and here I’m paraphrasing, that the inner lives of women take form in public discourse as a kind of unreality – and that unreality has the same flavor as fiction. Nonfiction writing is supposed to have a fidelity to the real world. Disgrace comes to the author who adds too much of the unreal to their mix – we call that kind of book a ‘hoax’, and in recent years women’s biography in Australia has been its cradle (think of Norma Khouri, Helen Demidenko and Wanda Koolmatrie). The nonfiction writer is supposed to engage subjects, must face up to the world and all its inherent uncertainty, and in doing so pull upon internal resources including fortitude, circumspection, self-discipline and doggedness. The non-fiction writer, in short, must be confident of their own cohesive and notorious identity. They must be capable of evaluating a scene. Journalists I know use the word declarative to describe their best patois: things must be stated, accounted for, and settled. Declared. The unknown turned into the known. But of course, this is not how the world actually is. Inner and outer worlds are not so easily divided! And permitting that fact – allowing such things as the corporeal, the uncertain, the experiential, in – doesn’t just make clear that falsity, it also lets in other modes of authority. It questions the role of women’s interior lives in our political discourse. As I say at the end of the essay, ‘woman’ is not an imaginative category, but categories of the imagination challenge the way women’s creativity is politicised. Despite the fact that, as you write in your piece, women’s writing has been the subject of renewed attention lately, the under-representation of women in publishing and in the review pages continues to be a problem. What would you suggest are some of the ways those concerned about this can work towards reversing this trend? Well, while I agree that the master’s tools won’t dismantle the master’s house, the answer is not (as some other commentators have put it) to concentrate on starting new publications, or to valorise the amount of women’s writing appearing on various blogs. A cottage industry of WordPress sites isn’t going to cut it – women’s marginalisation won’t be rectified by the wider promotion of women’s writing as unique and separate from the prevailing voice of our common literature. Yet, as I say in ‘Imagining Women’, discrimination in publishing will also not be corrected by simply printing more work by women. Equality doesn’t equate to a condescension by the empowered, that a tokenistic space ought to be opened up for others who are less equal. Certainly we all have to foster an atmosphere that prompts editors, publishers, agents and writers to examine their inner biases – how their decisions to write a certain way, or about a certain issue, (or to match specific writers with specific stories) are shaped by social expectations that they have internalised. And we must speak up about implicit or explicit discrimination where we see it. But that fairly well goes without saying. Changing the criteria for prizes around national identity is a step in the right direction, as is the Stella. I do want to say something here about funding. Much has been made of the recent shift in OzCo’s criteria for emerging authors, who are eligible to apply for significant funding only after they’ve published their first book (previously authors needed a track-record of serious publication – the one-book threshold is a recent introduction as of 2012). Whatever bias is live in the commercial publishing world will therefore have a stronger pull on the funding body than before (there are few, if any, philanthropic presses publishing works solely for their artistic merit). If first-time authors are more likely to get a novel or a collection of short stories or poems up with an Australian press, than OzCo will see more applications from fiction writers and poets, than nonfiction writers. This is the effect of the one-book rule: it outsources the initial credentialing of a writer as ‘emerging’ to the commercial sector. In the past, OzCo had an institutional bias against nonfiction writing – it used to be the case that you needed to show more essays than stories to pass the ‘emerging’ threshold, and funding couldn’t be sought for research costs (FOI applications, travel to meet with interviewees, transcription services etc.). Thus they received less nonfiction applications across the board. This has rightly been changed, but they still expressly exclude journalism (‘factual reporting’). Whether or not the disparity in applications will be reflected in a disparity of funding awarded is yet to be seen – but OzCo should be alive to the fact that the numbers of applications may not be driven by the real number of nonfiction writers out there, but by barriers to entry presented by the publishing sector. It is my feeling, from speaking with mainstream large and mid-tier publishers, and authors too, that first-time women authors have a harder job cracking the nonfiction market than the fiction market. I’m going out on a limb there, but that is my sense of it, particularly if we exclude memoir and scholarly work. Largely this seems to be because nonfiction books are more often commissioned, and commissioned books more often go to authors who are already within a publishing house’s established stable of writers (as they should; that’s how presses can help to build an author’s career). And as my article unpicks, there are still assumptions made about certain categories of nonfiction being ‘masculine’ in character. It’s my hope that this issue inherent to the funding guidelines doesn’t put a chill effect on new women’s nonfiction writing – because, as we know, writers often seek to produce work that will position them for future funding opportunities. Overall though, I am optimistic about writing written by women and its participation in the public sphere of literature. My optimism is not just guided by the fascinating, engaged work I’m reading in pages such as those of Overland, but also by the lively debate around this topic specifically, and feminism more broadly.